Sensor list problem or bug? 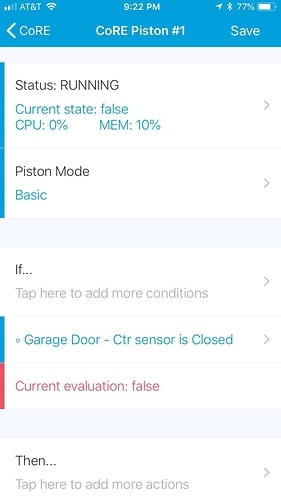 I’ve been trying to get a simple piston (garage door monitor related) to work, but am having problems with something that seems basic and might be bug related. 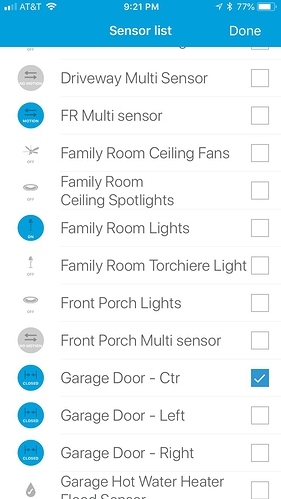 First, I notice that when I select “sensor” as the capability, the “sensor list” I am given includes not only my sensors but all of my devices. Second, I find that regardless of which sensor I select as the test condition I can not get the piston to evaluate as true. In confirming that, I switched to the comparison being “changes” - should should yield a true evaluation more easily on any sensor state change (I presume) – but still I don’t get the piston to trigger. (I can get a true evaluation when I select a switch and test for change, but that doesn’t help my use case;-). I’m wondering if anyone else sees “non-sensor devices” being reported under the sensor capability list? Post the simple piston example please. Maybe even the log if you have it. Piston example below, followed by app screenshot of the sensor capabilities list (which unexpectedly includes ALL my things, not just sensors), lastly the piston screenshot showing “current evaluation:false”… I can never get a true evaluation regardless of actual sensor state. No debug log. FWIW, I just installed webCoRE and tested the same piston – this time the evaluation works correctly (i.e. true when it should be). If its a CoRE bug, it would be nice to somehow confirm and notify the powers at be… for now I guess this is the justification I need to switch to WC going forwards. The Sensor capability is a “tagging” capability. It defines no attributes or commands. In SmartThings terms, it represents that a Device has attributes. You may want to choose a more specific capability like Contact Sensor. Made that change. No difference in results (never triggers).